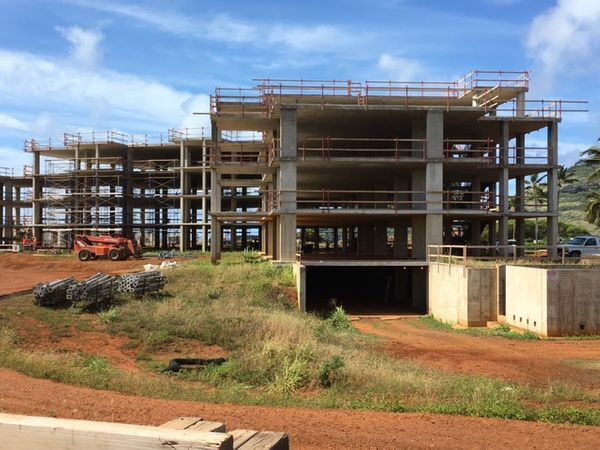 Ground Penetrating Radar Systems, LLC was contacted by Pacific Concrete Coring & Cutting, also known as PCCC Hawaii. 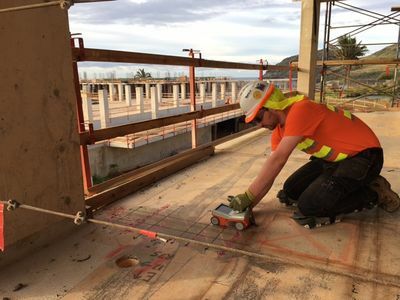 They were working on a project at Hokuala Kauai, a Timbers Resort, to locate safe zones for thousands of cores and roof truss anchors of two buildings that had been abandoned since 2008. Ground Penetrating Radar Systems and Structural Radar Imaging worked together to locate over 2,500 anchors and dowels at 1.5" apart and 1,000 cores between the East (Kaiholo) and West (Maliula) buildings. In order to ensure the scanning was completed within the requested timeline, SRI sent an additional technician from Seattle. To date, at least three different GPRS technicians have spent more than 600 hours scanning the two resort buildings, with 100% accuracy.